We specialize in group training and working with beginners to intermediate athletes. You will learn EVERYTHING about being a complete triathlete in a fun and social way, while getting fitter and healthier on a weekly basis. If you have a goal, we have a solution. STeve’s passion for all things triathlon was sparked while working in the UK as a product specialist for Nike, overseeing group training across London for Nike’s popular annual 10km ‘Run London’ events. After competing in a number of triathlon, duathlon and cycling events in England, with two London marathons under his belt, he decided to move to sunnier climes and pursue his love for the sport in Cape Town. STeve represented the South Afrian Duathlon team in France 2013. 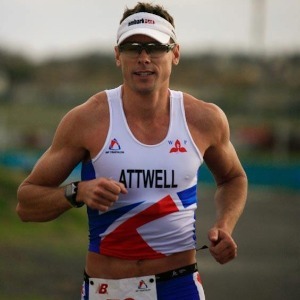 He has also competed at the World Triathlon Champs in Switzerland (2007) and Germany (2008), and is an annual Western Province representative at both SA duathlon and triathlon champs. This year he completed his second Ironman. Realising that triathlon can be an intimidating sport for beginners, Steve set up ‘Embark’ in 2010, specifically to coach and mentor beginner athletes and give them the confidence to become triathletes. Success. Coach STeve Attwell has been notified of your message.